Fleas can make cats miserable. Identifying a flea bite on a cat not only helps you determine the cause of excessive scratching. It also can help your veterinarian treat irritated areas and hot spots. 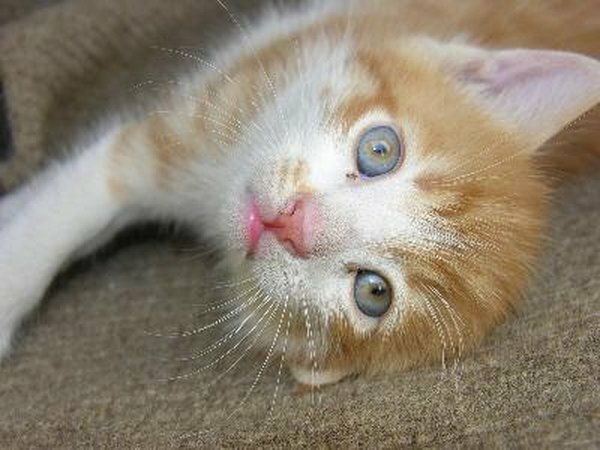 If your cat has fleas, consult your veterinarian, who will prescribe flea treatment and may treat your cat for flea allergies. Check your cat for signs of a flea infestation. If your cat is frequently licking or scratching his skin, this is a clear sign his skin is irritated, and fleas are a common source of skin irritation. 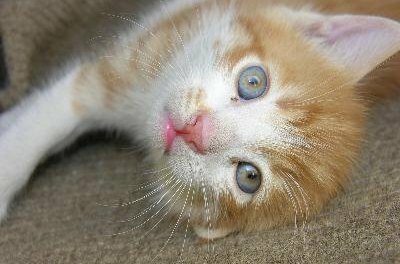 Hair loss often occurs in cats who have fleas because they spend so much time scratching themselves they begin pulling out hair. Inspect your cat's skin for flea bites. Bites are typically small red or pink bumps that may be crusty and raised in the center. You may also notice hot spots on your cat's skin, which are caused by excessive licking and scratching. These bumps are typically bigger than flea bites and may be irregularly-shaped and hard. They frequently are only partially scabbed because your cat may be constantly licking off the scab. Examine your cat's skin and fur for fleas. Common flea locations are along the neck and chest. It's often hard to spot fleas themselves, but if you notice tiny black flecks that look like food crumbs, they are likely flea feces. Not all skin problems are caused by fleas. If you don't find fleas, consult your vet, who can investigate the cause of your cat's skin problems.